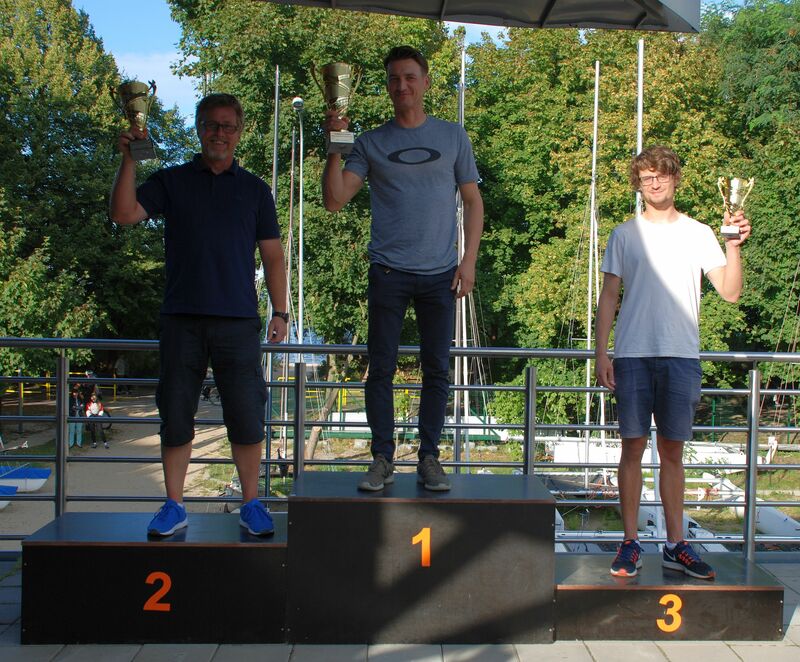 Over the weekend of 7th to 9th of September, the Polish Catamaran Championships 2018 took place in Sopot. 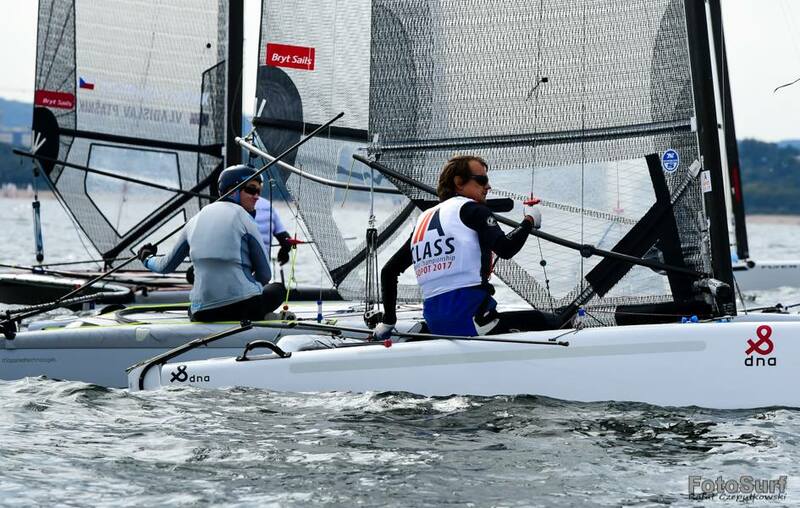 With a good cat turnout of some 70 sailors, 18 A-Class competitors took part. Over the 3 days the regatta managed to get 5 races completed. 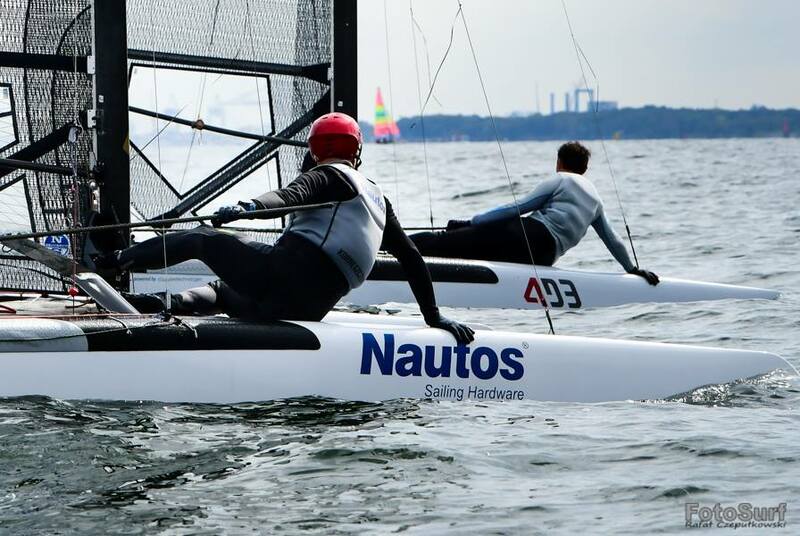 After a calm Friday, the Saturday wind appeared over the waters of Sopot. Initially light, but rising above our limit, by the end of the day. 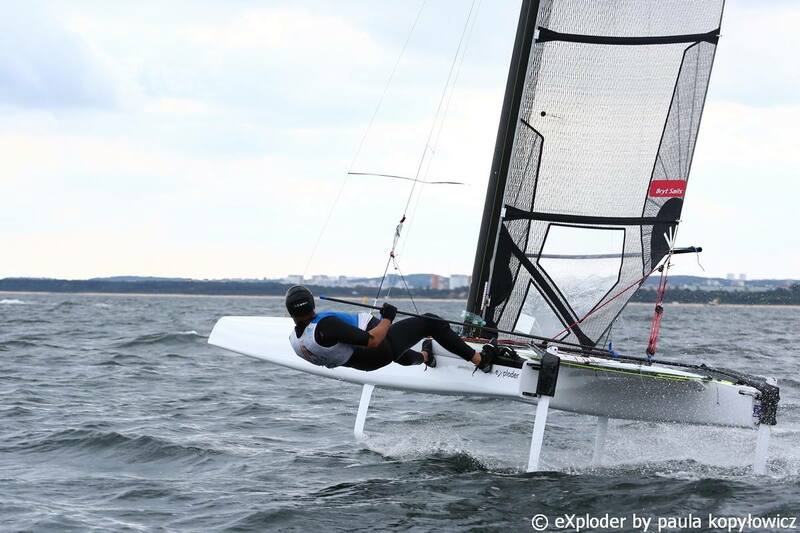 Under these conditions, Maciej Żarnowski sailed the best, and gained a big points advantage over his rivals. Behind him was a fierce fight for the next couple of places on the podium. Everything was supposed to be settled on the Sunday, as five competitors had the chance to win the Polish Championships if it all went as scheduled. Sunday turned out to be light wind day again though. The sailors of the regatta were waiting for the racing on the water when the blow started, literally at the last possible moment. The judges held only one race. It was already known at that point, regardless of the order at the finish line, that Maciej Żarnowski would win the gold medal. However for the next two positions the fight lasted literally to the last few meters. 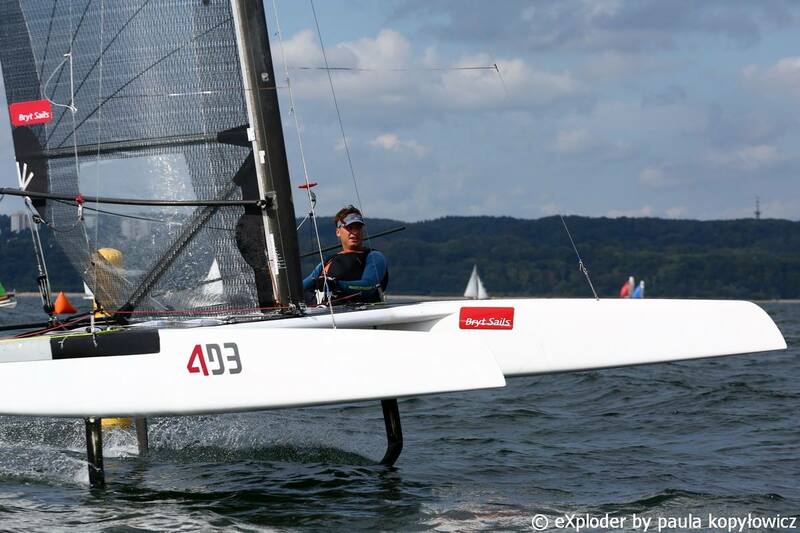 In the end, Jacek Noetzel won the silver medal and Marcin Badzio the bronze medal. 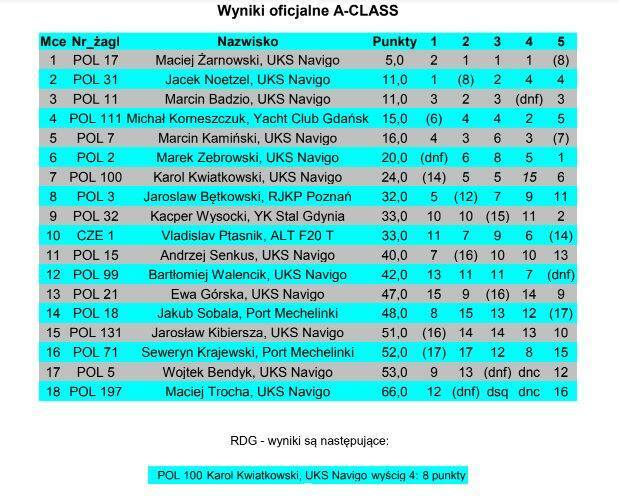 In the Classic clasification the reigning European Classic Champion Marek Żebrowski won.